Advice and ideas on holidays in September in Sardinia. Excursions in Gallura, the beaches around Costa Smeralda, Porto Cervo and things to do in the North of Sardinia. Spending holidays in September in Sardinia is the best time of year for those who love travelling, excursions and outdoor activities as well as those who want to enjoy a last weekend on the white beaches of the Costa Smeralda and the Costa Rossa by taking advantage of September flight prices and holiday offers by ferry to Sardinia. September is the best time of year to discover Gallura while you are here on holiday. The climate is delightful, there is a relaxing sense of peace and quiet which is the perfect condition for enjoying the sea but also for going on excursions in Sardinia to discover the inland areas. 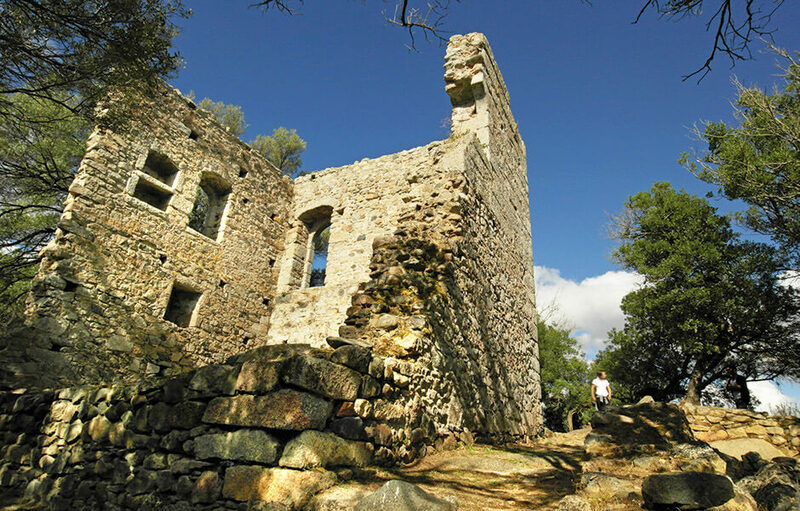 For those who love trekking, Gallura is full of fascinating itineraries. Near the Resort Valle dell’Erica Thalasso & Spa is the small peninsula of Capo Testa and the Punta Cuntessa park network of paths that follow the Rena di Levante and Ponente beaches toward the wonderful Valle della Luna or Cala Grande (as the locals call it). After a not too strenuous walk from the Park Hotel Cala di Lepre and Hotel Capo d’Orso at Palau in a few minutes you can reach the famous Roccia dell’Orso or Bear’s Rock which offers visitors a breathtaking view of the coast and the La Maddalena Archipelago. From the Hotel Torreruja at Isola Rossa and the nearby 5 star Hotel Marinedda, enthusiasts should not miss out on climbing the hills at Aggius at sunset. This trip is not very difficult and is also suitable for children and young people and it leads to the top of Monti Fraili where the view at sunset is something unique. For those who want to make the most of the pleasant weather in September to discover Gallura, all the Delphina hotels offer tours of the North of Sardinia which include ancient nuraghi, typical small towns and villages and pauses to taste local food and wine. Villages like Luogosanto, Tempio Pausania and Aggius are part of an unexpected side of Sardinia, not far from the beaches of the Costa Smeralda and sea-side resorts. The history and identity of Gallura oozes from the stone walls of the houses and narrow streets and can be seen through its traditional food and wine in the numerous festivals held in September in Northern Sardinia. Boat trips in the North of Sardinia in September are a fantastic experience. The number of tourist boats has diminished and all the coves and bays of the Costa Smeralda and the La Maddalena Archipelago have returned to their original wild and fascinating state. Delphina Hotels organize excursions by boat around both the North East and the North West coasts. 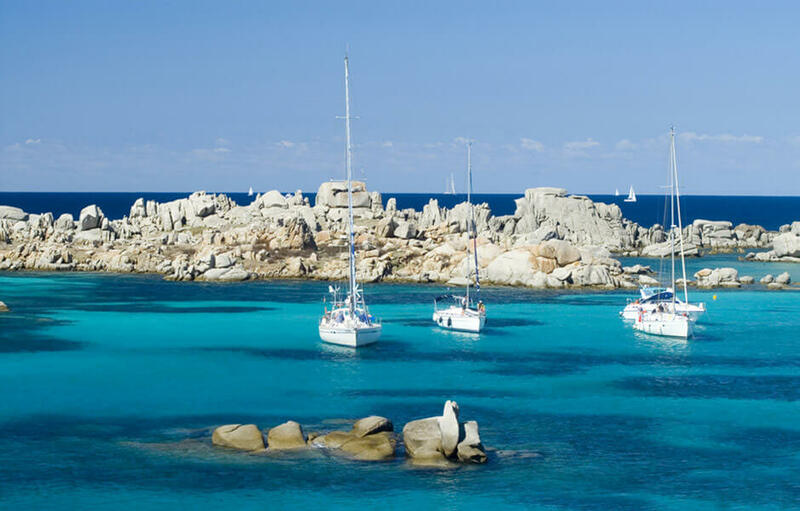 Boat trips leave the private Cala Capra Marina at the Hotel Capo d’Orso from Palau to Bonifacio, Lavezzi and Isola Piana, and from the marina at Isola Rossa the Delphina fleet offers boat tours to the Corsican Archipelago and nearby bays and beaches. 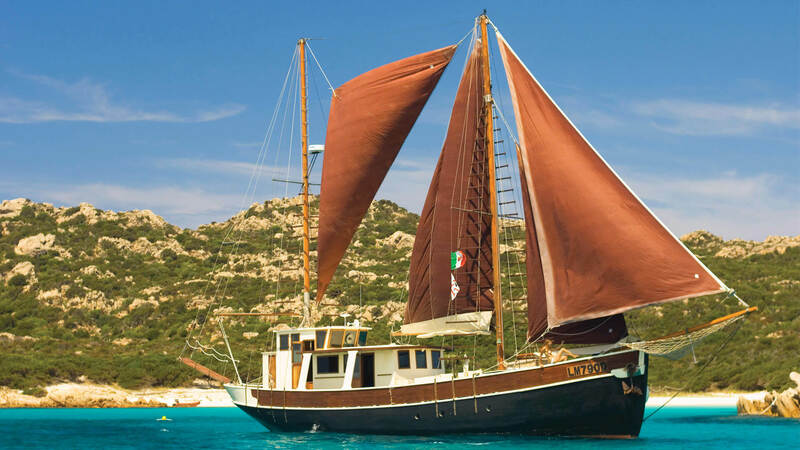 The tour of the islands with the vintage sailing ship Pulcinella is also exciting since spending a day exploring the Northern Sardinia sea in a prestigious old ship is a unique experience where it is impossible not to stop and snorkel in the natural pools between Budelli and Santa Maria or the little island of Mortorio. Sports enthusiasts can enjoy exciting outdoor activities in the unspoilt nature of Northern Sardinia. Among the things to do in September in Gallura the bike tour is definitely one of the most entertaining and enjoyable and there are a range of bike routes in the area that start from all the Delphina hotels in Northern Sardinia, from the Resort Le Dune in Badesi to the Resort Cala di Falco in Cannigione. Cycling tours on the East coast go as far as the island of La Maddalena, or follow the coast from Palau to the Costa Smeralda and Arzachena. 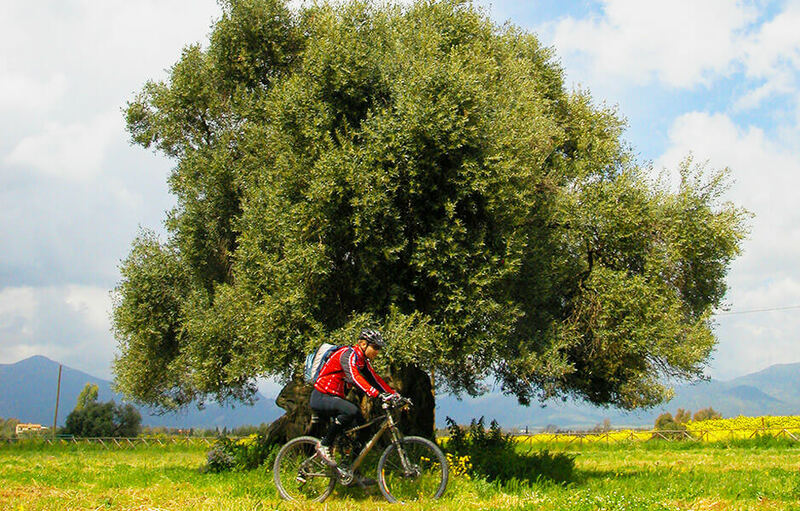 Even the hotels on the West coast of the North of Sardinia offer cycling routes in the hinterland between cork forests and archaeological sites. 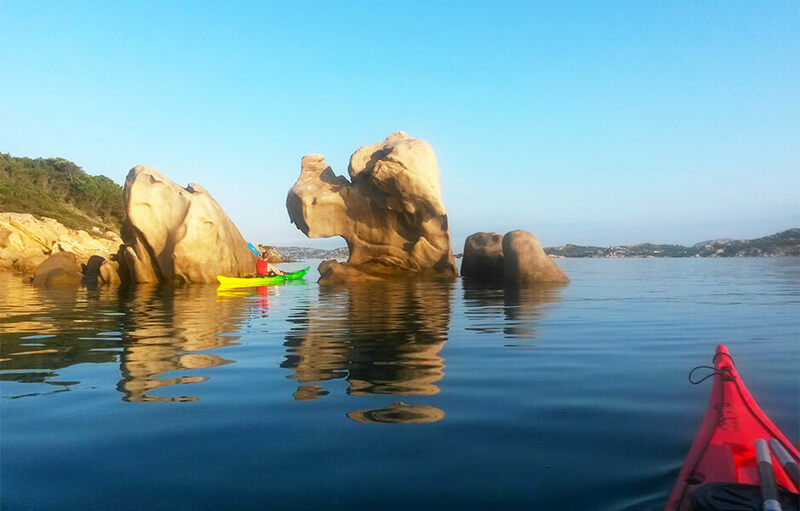 For those who love the sea, a kayaking trip in Northern Sardinia will give you the chance to see the island from a different point of view with only the sound of the waves and the colours of dawn or sunset. Whether you’re staying at the Hotel Capo d’Orso and choose to go South to the mouth of the Rio San Giovanni in the Gulf of Arzachena or whether you decide to paddle towards the La Maddalena Archipelago, you will be enchanted by the innumerable shades of transparent turquoise found in the waters of Sardinia. The purple cliffs of Punta Canneddi are also magnificent, especially when seen from the different angle offered while doing Stand-Up Paddle in front of the Hotel Marinedda Thalasso & SPA. After days spent at the beach or going on excursions, the nightlife of Northern Sardinia will be waiting for you! One of the best places to have fun on a September holiday is definitely Porto Cervo and the surrounding area with its nightclubs and trendy bars, but Palau and Cannigione also enjoy a lively nightlife with restaurants and bars within walking distance from the best nightclubs. If you are with a group of friends and you want to spend your holidays in complete freedom the Resort Cala di Falco in Cannigione is the ideal solution offering a hotel and villas to rent close to the Costa Smeralda.